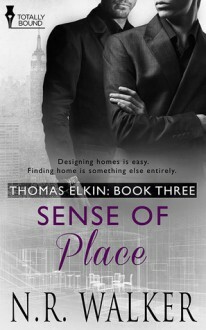 The perfect finale to the Thomas Elkin series! I loved how everything wrapped up and Cooper and Tom got their perfect HEA. There was minimal drama, just enough to keep it interesting, plenty of hot action, and lots of laughs and love. All the good stuff I love from N.R. Walker. 4.5 starsAmazing... This series is just what I needed right now. And I love Tom and Cooper~The thing at Tom's company was a bit far-fetched though... But whatever, I LOVED the story. This was the perfect ending to this awesome series. Tom and Cooper are just the perfect couple. Really. Was ok.... The ending was nice.